DINGRAS, Ilocos Norte – INEC Director Enrico ‘Cocoy’ Ruiz announced that a 1-MW solar power plant will soon rise in this town. Director Ruiz said that a South Korean company will utilize the 1-hectare idle lot situated at the back of the Ilocos Norte Electric Cooperative (INEC) main office building in Brgy. Suyo, Dingras as the site of the solar power project. A memorandum of agreement between INEC and Bosung Powertec, Inc. was already signed by both parties to formalize the start of the construction work of the solar project, he said. He likewise said that the company had secured from DENR, CENRO and the provincial government the permit to cut trees inside the lot. He explained that INEC, being the lot owner of the site, will not spend any fund of the cooperative in the said project. He, however, said that the management is closely providing assistance to the company in securing the necessary documents to hasten the construction of the solar plant. He also said that under the MOA, the South Korean firm will transfer the ownership of the solar power plant to the cooperative after 15 years of operation. 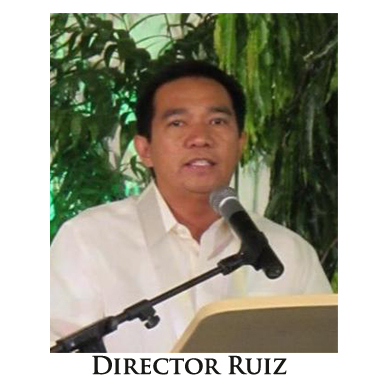 Ruiz said that electric consumers will greatly benefit from the said project not only because added voltage will be available but also it will reduce the transmission charges being paid by member-consumers to the cooperative. The presence of solar power plant will also attract more tourists in this side of the province, he added.